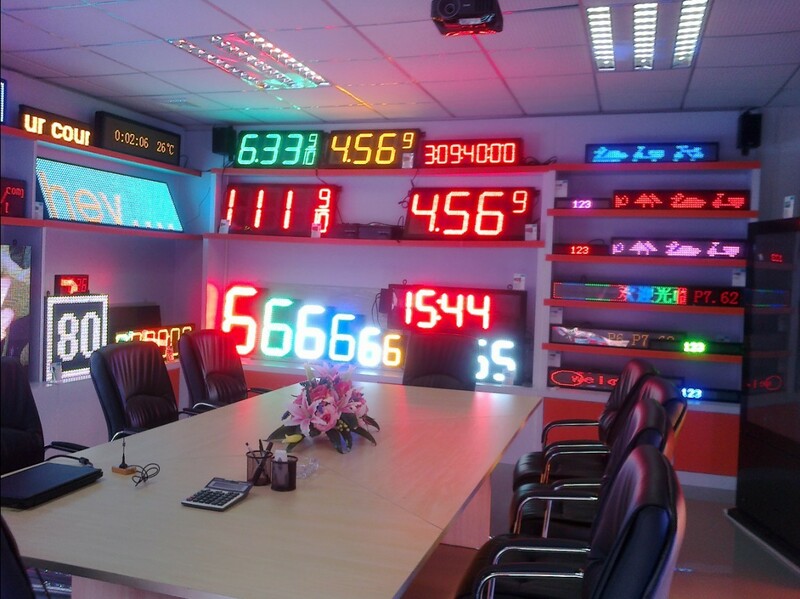 Outdoor 8 inch LED time and temp sign manufacturer, 12 inch China SZ LED time and temp signs, 24 inch LED digital clock display, 36 inch GPS timing LED sign board, 48 inch LED gas price sign, 60 inch LED gas station price sign, red/blue/green/white/amber LED electronic. 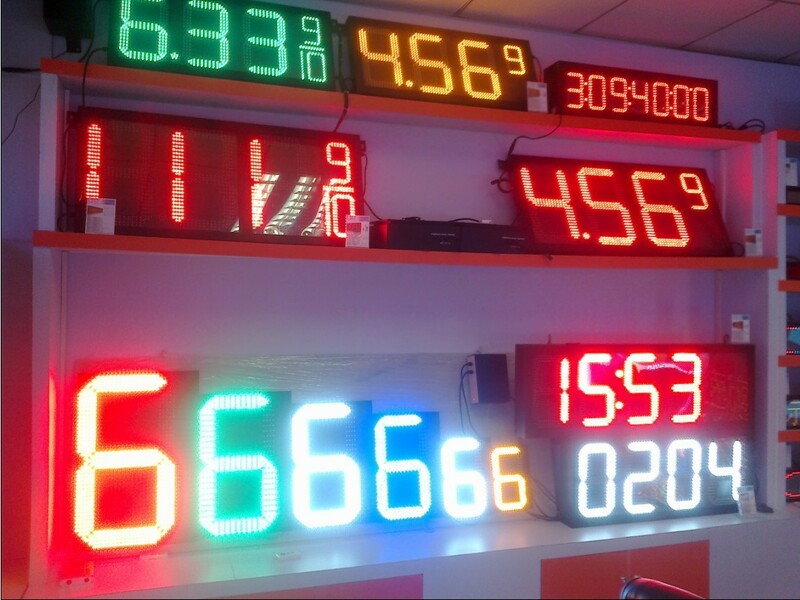 In today's ever shifting economy where gasoline prices seem to fluctuate more often than the temperature outside, having a dependable, easy-to-change LED price display has become the ideal advertising solution for many areas of business. 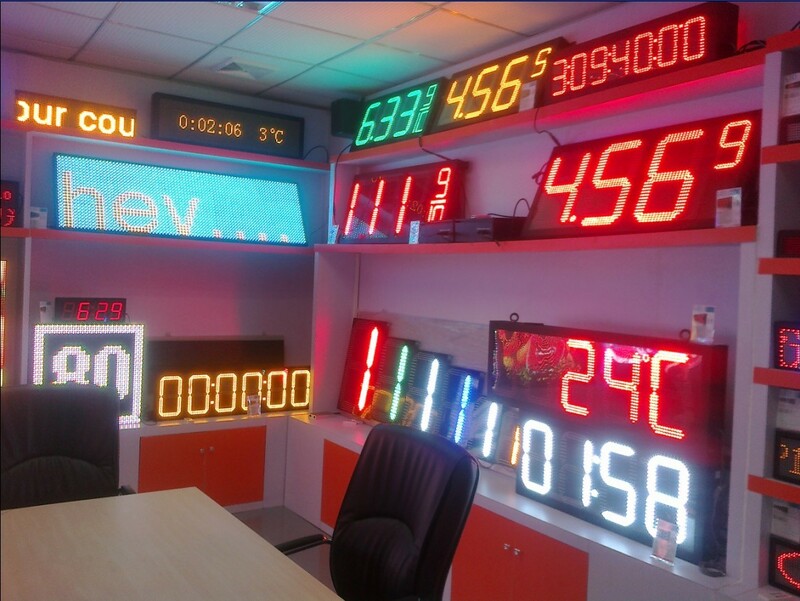 LeemanDisplay offer you a reasonable & LED affordable digit solution at the right time. Extremely visible from far distances, LeemanDisplay LED gas price sign also features an improved controller design, making it easier for employees in convenience store to change the sign's price. 1. Display format: 8.888 or 8.888; Customized face designs. 2. Control system: VP Gas price control system making price changes quick and easy. 3. Outdoor or Semi-outdoor brightness available. 4. Special slim gas price design for your special structure request. 5. Different sizes and colors are available that fit your flexible needs and wants. 6. A finished cabinet makes installation trouble-free with no additional fabrication needed. 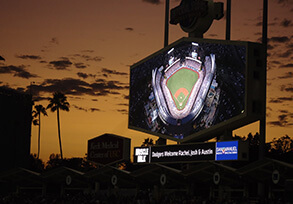 LeemanDisplay LED Time and temperature sign turn an everyday location into a household name by presenting two of the most commonly used pieces of information to potential customers. 1. 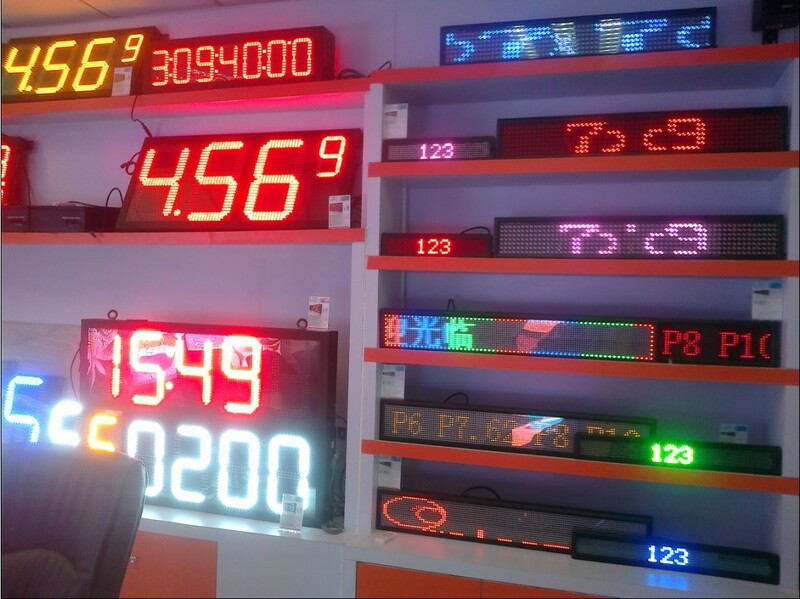 The time ultra-high precision: LED Time display is mainly achieved the remote control the time, Of course, can also be displayed by GPS time. 2. Two kinds of the design: one is semi-outdoor use, another is outdoor use. 3. Semi-outdoor can't waterproofed. It is used under the eave or inside the show windows, something that must cover it before exposing totally outside. 4. 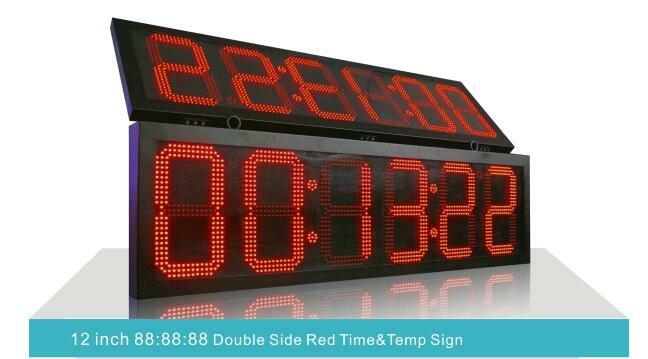 Outdoor LED time temperature signs can be used outside. It has the ability under the direct sunshine and rain, It totally waterproof.